"What's the difference between a Capri ferry and a Capri hydrofoil?" As a cruise guest who wants to travel to Capri for a day when docked in Naples, you must be wandering how to reach Capri town with a ferry or hydrofoil on your own. The good news is…it can be done and it’s very easy! There’s one circumstance really playing to your advantage…the Naples to Capri ferry/hydrofoil station is located within a hand’s reach from the gangway of your ship. What’s the difference between a Capri ferry and Capri hydrofoil? 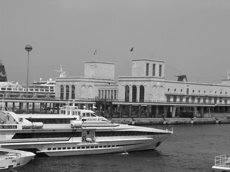 Well, ferry is a larger boat that can take both passengers and cars and they leave from part of the Naples port called Calata Porta di Massa about 10 minutes walk from the cruise ship. Duration of a ride with a Capri ferry is about 80 minutes. So, to put it into perspective for you…the Capri ferry station is located a bit further from your ship and the ride takes longer than the hydrofoils’! What is a Capri hydrofoil? Hydrofoil or a jetfoil is a fast boat taking passengers only (no cars), it leaves from the Mollo Beverello part of the Naples port and the duration of the ride is about 50 minutes! It can take about 200-250 passengers at a time. Now you understand why we give preference to Capri hydrofoil over the Capri ferry – it’s a definite time saver! So, let’s forget about the Capri ferry now, as a cruise guest you will not be using it…from now on we’ll focus on hydrofoils to the isle of Capri Italy only. Let me take you through the whole procedure of buying a hydrofoil ticket and getting on the right hydrofoil. First of all, if you are planning to visit more than Capri town on this day (e.g. 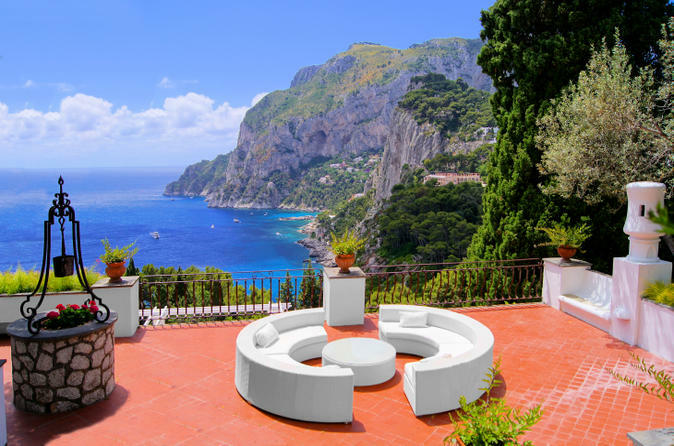 you can add Sorrento or even Pompeii to your itinerary) it is advisable to know ahead exactly which hydrofoil you will be taking to the isle of Capri Italy. And, again, we suggest it is one of the earliest ones. If your ship docks around 7, on a working day, the earliest one you will be able to catch seems to be the 8:10 hydrofoil. For up to date departure times timetable check here. When you’re reading the table pay attention to Port of departure. If it says Molo Beverello, that’s one of the hydrofoils. All the others are Capri ferry boats which are not practical for you to use. Here at the Mediterranean Cruise Ports Easy we suggest you leave the ship at least 30 minutes before your hydrofoils departure. Although the ticket booth and the hydrofoil dock is only 5 minutes away from the ship’s gangway, lines can get very, very busy. 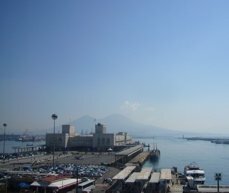 Keep in mind, that the port of Naples can accommodate up to 4-5 cruise ships in a day. If only one quarter of the people wants to visit Capri first thing in the morning, and they will, it’s a lot of people. Not to count the local tourists! On the hydrofoil you will notice the amount of the Japanese visitors…they loooove Capri! TIP: Before you leave the ship do this: look through the window and see if the seas are calm or choppy. If they are even a little bit choppy, that means that on the open seas and onboard the little hydrofoil, it will be felt much more! If you are prone to a motion sickness, make sure you get a pill while still onboard the ship (ask the guest relations or in the infirmary) and take it ahead! As you walk out of the huge building of Naples’s Stazione Marittima cruise terminal, walk past all the taxi drivers that will surround you trying to take you for a whole day tour. Walk towards the main street at the end of the big parking lot and then turn right towards the flat long building with a Mollo Beverello sign on it. This is where you will get your tickets for the Capri hydrofoil. 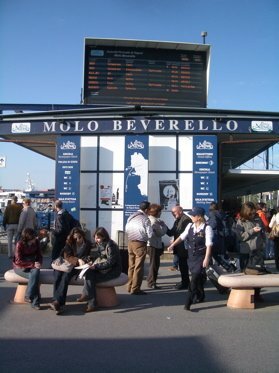 As you are standing in front of the Molo Beverello building, go round its right hand corner, facing the main street, not the sea. 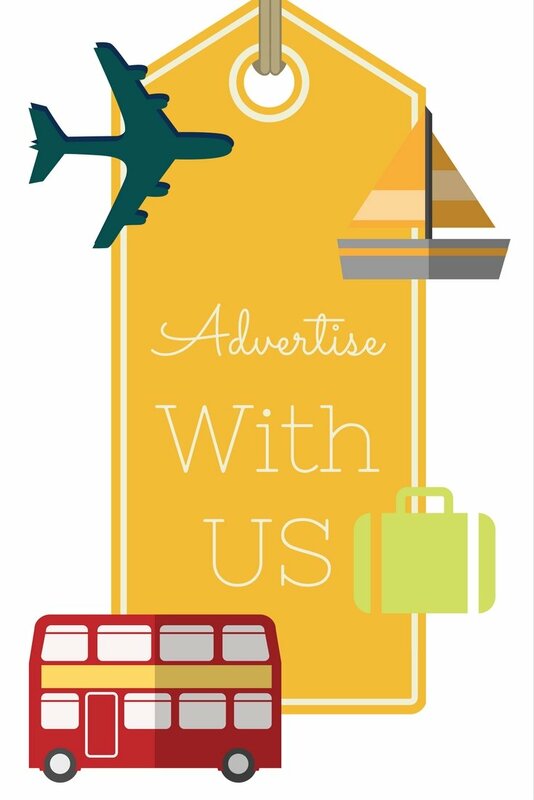 There, you will see a number of different windows belonging to different companies selling tickets to Capri, Sorrento, Ischia and other destinations. You should not worry about which company you’ll be using, all you need to worry about is the destination and the time of the hydrofoil time you want to use. So, if you want to use a 8:10 hydrofoil to Capri, that’s the sign to look for in the window. TIP: Before you stand in line of the booth advertising your preferred time, make sure you have euro cash on you!!! They do not accept credit cards. TIP: Be very careful of your belongings when standing in line for the tickets. This area is like a magnet for pickpockets. Hold your purse under your arm or in front of you, do not have backpacks on your back. Here you will also see a lot of beggars asking for change after you had purchased your tickets. Whether you want to give them something is up to you, they are not a real danger, but it’s people who can sneak up on you from behind and take advantage of the crowded area. The prices of the one way tickets for hydrofoils or fast ferries are either €21.50 or €22.50. You can buy the return tickets here, in Naples straight away. That is if you’re sure you will be coming straight back to Naples. You can buy the tickets online, too, right here. You will receive a voucher and then just present it at the ticket booth to exchange it for a real ticket. This can come in handy if you want to make sure you will get a spot on the hydrofoil you want. However, you will pay extra €12 for that service. Have I ever been left behind without getting a spot on a hydrofoil, not really, so maybe you shouldn't worry about it either. If you’re planning to visit Sorrento after your visit to Capri, you can only buy hydrofoil tickets for that second part of the trip only once you arrive to Capri. While you’re still at the booth, ask the teller person which pier your hydrofoil will be leaving from. Sometimes they get it right but sometimes they’re not sure until the last minute either so take this information with reserve. The best way is to check each hydrofoil as they will be holding big signs with the destination and time of the departure. Now go to the other side of the ticket booth building, the one facing the sea…somewhere along the waterfront is where your hydrofoil will dock. If you don’t see your hydrofoil yet, don’t panic, sometimes they’re a little bit late. FOR THOSE IN THE KNOW: If you still have about 15 minutes before your hydrofoil’s departure, you can do a little trick that will save you some time upon your arrival on the island. Namely, when you arrive to the port of Capri (Marina Grande) you will need to take a funicolare/cablecar ride up the cliff to the town. People normally buy thicets standing in line at the booth in Capri’s Marina Grande. But if you want you can also purchase them at the cashier of the little café with a terrace by the car park, 30 seconds walk from the Molo Beverello building. Just ask for a Capri funicolare ticket! If you want to sit in the enclosed salon of the hydrofoil, make sure you’re one of the first people to be in line to get on the hydrofoil as it gets pretty packed! There are toilets available on hydrofoils as well as a little bar with snacks and drinks. Now that you’re on the hydrofoil relax and enjoy your little adventure. As long as the seas are calm, you will be able to walk around the hydrofoil, go or stay on its open deck to enjoy the view of the Vesuvius and Sorrento peninsula, take a lot of pictures, have a little espresso and a cornetto (Italian version of a croissant) at the bar…a nice introduction to your day in Capri! Although getting from Naples to Capri on your own is easy, if you think all of this might get a bit overwhelming for you, I have found a great tour with our trusted agent for shore-excursions and in-port activities, Viator. 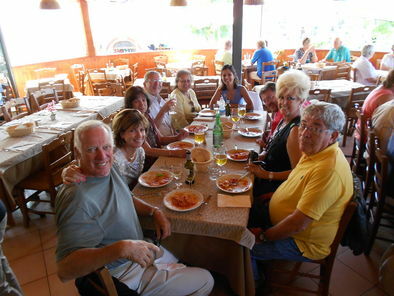 It is the Capri Day Trip With Lunch from Naples which has over 300 hundred raving reviews and accolades for the tour-operator's good organization, the guide's awesomeness and Capri's super-natural beauty. Why should we book an organized tour? You are on a vacation and you want to bring stress rates to the lowest possible level. It's just nice to be guided around without having to worry about your hydrofoils', buses' or boats' departure times. You will be accompanied by a fun and friendly certified local guide who is a great source of knowledge on the island and the area. 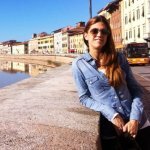 What to say about this trip? It was a Paradise ! The trip was totally worth it, we had an awesome Guide who was totally knowledgeable and friendly. When and where does the tour leave from? The tour leaves at 8:30 at the departure point you chose (it can be a hotel if you're staying in Naples before or after your cruise or the cruise port). You will receive the exact pick-up point details in your confirmation. How do I book this Capri Day Trip? First of all, make sure you book as soon as possible to avoid disappointment. The group in this tour is small and intimate and it will sell out quickly due to its high ratings. Now click on the photo below to read more details and reviews about this tour and then book your preferred date. You will receive the confirmation at the time of booking as well as the complete local operator information and telephone number.